A higher-resolution, uncropped picture, suitable for printing, is available here: to get it on to your computer, go to that photo and then click the Download button near the top left hand side. It may be cropped etc as required for various purposes. 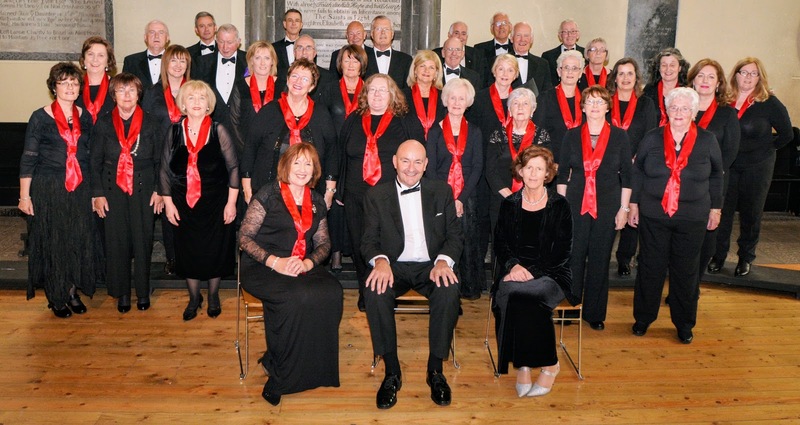 Presented the profits from our Summer Concert to COPE Galway. Left to right: Michael O'Hare, Carol Duffy, Mary Curtin, Craig Steven, Marie-Anne Michel (COPE Galway) and Norman Duffy. 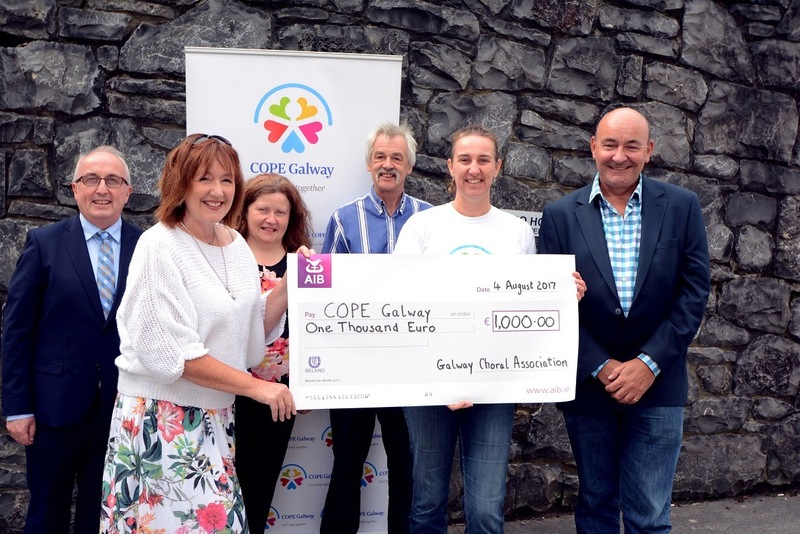 On behalf of all in COPE Galway, I would like to express our most sincere thanks to you for your donation of €1,030.01 towards our vital services in Galway. As you know COPE Galway services help those from our community experiencing homelessness, domestic violence and we support older people in Galway to stay living in their home longer. In 2016 we worked with 1,214 people experiencing homelessness, supported 314 women and their 158 children experiencing domestic violence and provided women with 719 Outreach appointments, and we produced and delivered 44,565 meals to older people in Galway City and parts of the county. Support like yours is making a real difference across our community and enables us to continue to offer practical and emotional supports for some of our most vulnerable. All of the people who will benefit from your donation are members of our society, and when we make them stronger, we’re building a better Galway for all of us. Thank you for seeing that potential – and for acting on it so generously. Again, thank you so much for your support! P.S. If you would like to tour any of our services or find out more about the impact your gift has please call us on 091 778750. We would be delighted to hear from you. Thank you again.